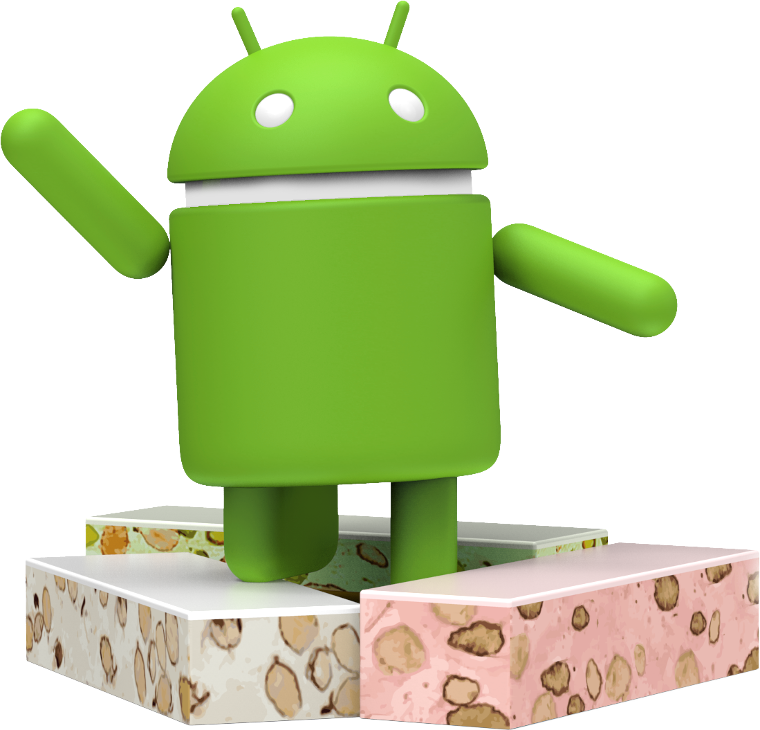 Today, Android 7.0 Nougat will begin rolling out to users, starting with Nexus devices. At the same time, we’re pushing the Android 7.0 source code to the Android Open Source Project (AOSP), extending public availability of this new version of Android to the broader ecosystem. We’ve been working together with you over the past several months to get your feedback on this release, and also to make sure your apps are ready for the users who will run them on Nougat devices. Android Nougat reflects input from thousands of fans and developers like you, all around the world. There are over 250 major features in Android Nougat, including VR Mode in Android. We’ve worked at all levels of the Android stack in Nougat — from how the operating system reads sensor data to how it sends pixels to the display — to make it especially built to provide high quality mobile VR experiences. Plus, Nougat brings a number of new features to help make Android more powerful, more productive and more secure. It introduces a brand new JIT/AOT compiler to improve software performance, make app installs faster, and take up less storage. It also adds platform support for Vulkan, a low-overhead, cross-platform API for high-performance, 3D graphics. Multi-Window support lets users run two apps at the same time, and Direct Reply so users can reply directly to notifications without having to open the app. As always, Android is built with powerful layers of security and encryption to keep your private data private, so Nougat brings new features like File-based encryption, seamless updates, and Direct Boot. You can find all of the Nougat developer resources here, including details on behavior changes and new features you can use in your apps. An overview of what's new for developers is available here, and you can explore all of the new user features in Nougat here. 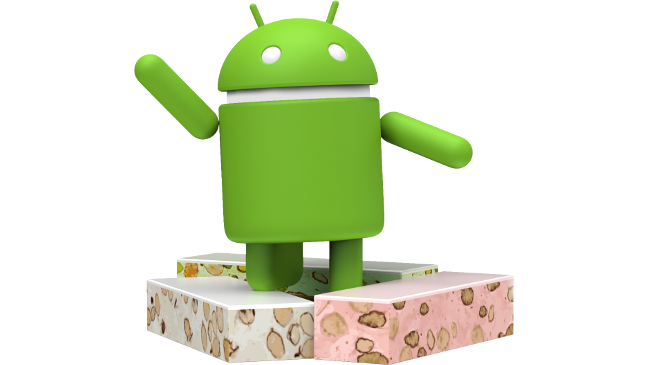 Starting today and rolling out over the next several weeks, the Nexus 6, Nexus 5X, Nexus 6P, Nexus 9, Nexus Player, Pixel C, and General Mobile 4G (Android One) will get an over-the-air software update to Android 7.0 Nougat. Devices enrolled in the Android Beta Program will also receive this final version. And there are many tasty devices coming from our partners running Android Nougat, including the upcoming LG V20, which will be the first new smartphone that ships with Android Nougat, right out of the box. With all of these new devices beginning to run Nougat, now is the time to publish your app updates to Google Play. We recommend compiling against, and ideally targeting, API 24. If you’re still testing some last minute changes, a great strategy to do this is using Google Play’s beta testing feature to get early feedback from a small group of users — including those using Android 7.0 Nougat — and then doing a staged rollout as you release the updated app to all users. We’re moving Nougat into a new regular maintenance schedule over the coming quarters. In fact, we’ve already started work on the first Nougat maintenance release, that will bring continued refinements and polish, and we’re planning to bring that to you this fall as a developer preview. Stay tuned! We’ll be closing open bugs logged against Developer Preview builds soon, but please keep the feedback coming! If you still see an issue that you filed in the preview tracker, just file a new issue against Android 7.0 in the AOSP issue tracker. Thanks for being part of the preview, which we shared earlier this year with an eye towards giving everyone the opportunity to make the next release of Android stronger. Your continued feedback has been extremely beneficial in shaping this final release, not just for users, but for the entire Android ecosystem.